JQH is the leading supplier in the electromagnetic components industry, and provides customized design, manufacture and sales of electromagnetic components, power supplies and specialized transformers. 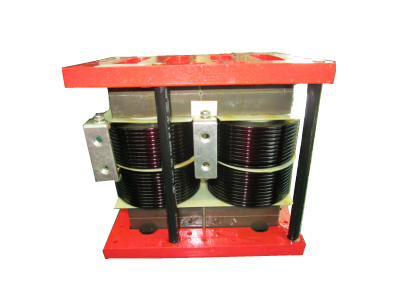 The outstanding JQH products include high frequency transformers, low frequency transformers, power adaptors, open frame power supplies, PV inverters, smart digital power supplies, three phase transformers and specialized reactors, and etc. Our products have been widely and successfully used in home appliances, consumer electronics, UPS power application, LED lighting, telecom, and PV inverter applications, etc. JQH values electromagnetic components as foundational business, and promotes power supplies and specialized transformers as new technology development. JQH has built great reliability, excellent quality, and wide range of product lines with advanced technologies in various applications. While improving our technologies and overall competitiveness, we have established mature R&D and sales teams with extensive experience in products’ development, design, manufacture and sales. In addition, we have our great advantages in technology innovation, product quality, valuable customer resources, TPM (total productivity management) and fast market responses. JQH is a well-known, professional and competitive supplier in electromagnetic components and power suppliesworldwide. JQH serves around 300 customers all over the world, including Europe, North America, Japan and other countries in Asia.